Simpson University received a A. 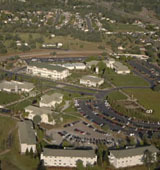 "Seriously Christian Simpson University in Redding, CA offers biblical and professional programs in both its graduate and undergraduate departments. Students here embrace Simpson's "Stones of Remembrance," which is a pile of stones on campus that is intended to remind students that God works miracles." What is a typical Simpson University student like? Describe the type of person that should attend Simpson University. Anyone could attend Simpson University that has academic goals and wants to pursue those with a passion. What are the top 3 reasons someone should attend Simpson University? What was a typical Simpson University student like in high school? Describe the type of person that should attend Simpson University. In C.S. Lewis' The Lion, the Witch, and the Wardrobe, Narnia creatures trapped in a world where it's always winter but never Christmas, begin to whisper to one another, "Aslan is on the move." If you know anything about The Chronicles of Narnia, Aslan is a metaphor representing the person of Christ. C.S. Lewis provided a beautiful literary picture of God's involvement in the world through his Son, Jesus Christ. We know that "Aslan is on the move" in our day, in our world, and on the campus of Simpson University. He is on the move when our students learn and grow through the outstanding teaching from our faculty. He is on the move in our chapel services when students, faculty, and staff gather to worship. He is on the move when our students participate in intercollegiate athletics, music, theatre, student government, and other co-curricular activities. He is on the move when our students get involved in church ministries and community service opportunities. He is also on the move when our students talk and laugh together in the dining center, coffee shop, or while walking across campus. The Lord is clearly on the move at Simpson University. I hope our Website gives you a picture of what the Lord is doing at Simpson University. You will find the latest news, program offerings, and access to people who will provide helpful information. Have fun navigating your way through the Simpson University experience. I invite you to follow up your virtual visit with a personal visit to campus. Whether you are an undergraduate or graduate student, in our traditional or non-traditional programs, our dedicated faculty and staff are committed to helping you develop in mind, faith, and character to influence the world through leadership, scholarship and service. What are the top 3 things that students do for fun at Simpson University? Students can participate in intramural sports, or they may join a variety of student organization clubs where they can pursue their hobbies, academic fields, and other interests. There are also several university special events held throughout the year. Campus housing is available for undergraduates. Housing deposit is partially refunded if student does not enroll.. Freshman allowed to have car. No pets. The average student pays $17,895 for tuition, fees, and other expenses, after grants and scholarships. Total stated tuition is $23,300, in-state and on-campus, before financial aid. Learn more about financial aid at http://www.simpsonu.edu/sfs. Estimate the net price for you at http://tcc.noellevitz.com/(s(i54tbognlq54ib4uxvlamtda))/simpson-university-ca/freshman-students. Simpson University participates in the NAIA Division II for college athletics. Want more info about Simpson University? Get free advice from education experts and Noodle community members. What resources are available to help manage Simpson University tuition?